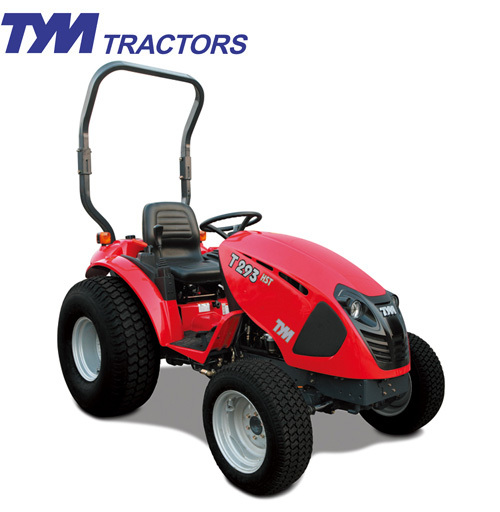 The latest and most powerful of the under 30 HP tractors is the T293. Using many features from the 23-27 models, the 293 features oversized tires, optional turf tires, smoother running engine, and new styling touch-ups. The T293 is THE compact tractor!